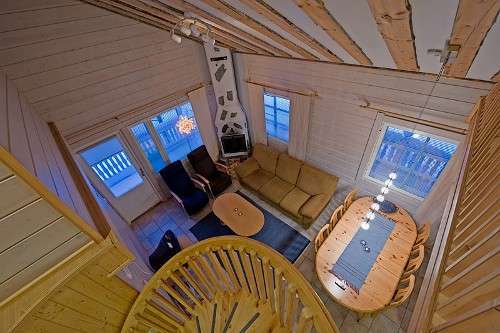 In two levels, downstairs 48m² + upstairs 22m², in the second floor of the house. 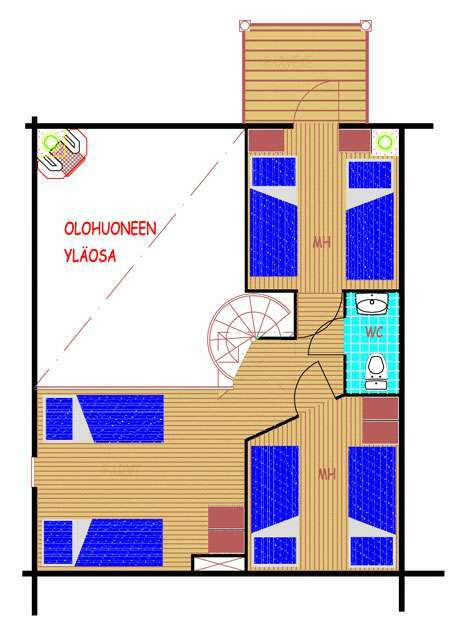 Downstairs has a living room with an open kitchen, bedroom, fireplace, bathroom, electric sauna, separate toilette, entrance room and balcony. Upstairs has 2 bedrooms and the other one has a ventilation balcony. 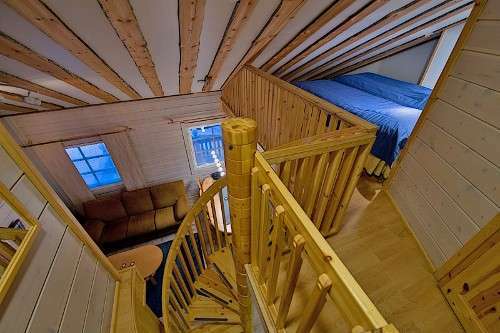 Small open loft (roof inclined) has 2 beds and a separate toilette. 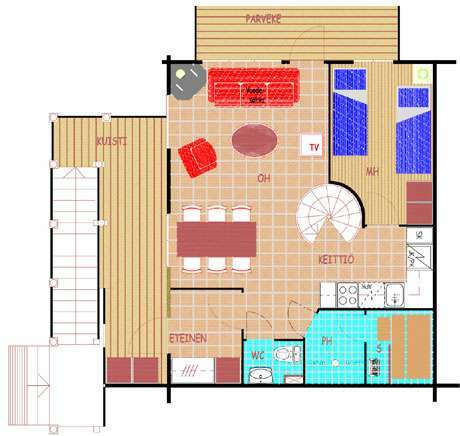 3 bedrooms with 8 separate beds. 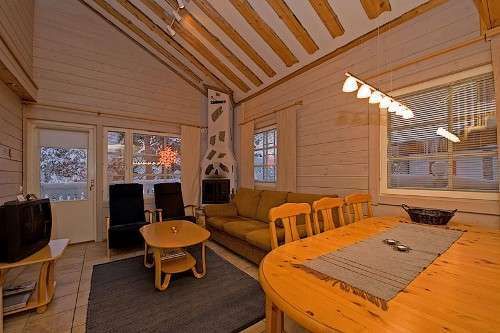 Built in 2000, surface renewal in 2012, sauna renewed in 2009. 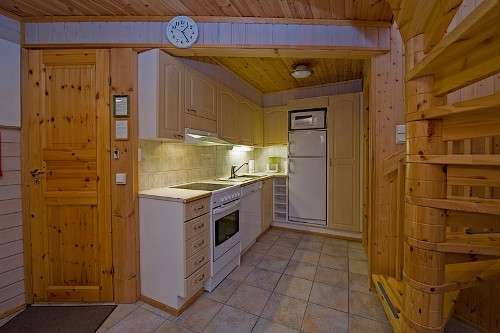 Chalets Alpine E5, E6, E7, E8. 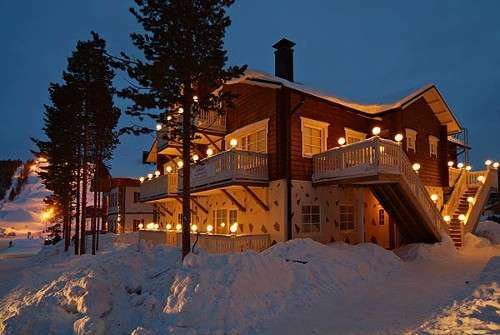 Located in the very centre of Levi, by the main slope, opposite to the Hullu Poro Arena.